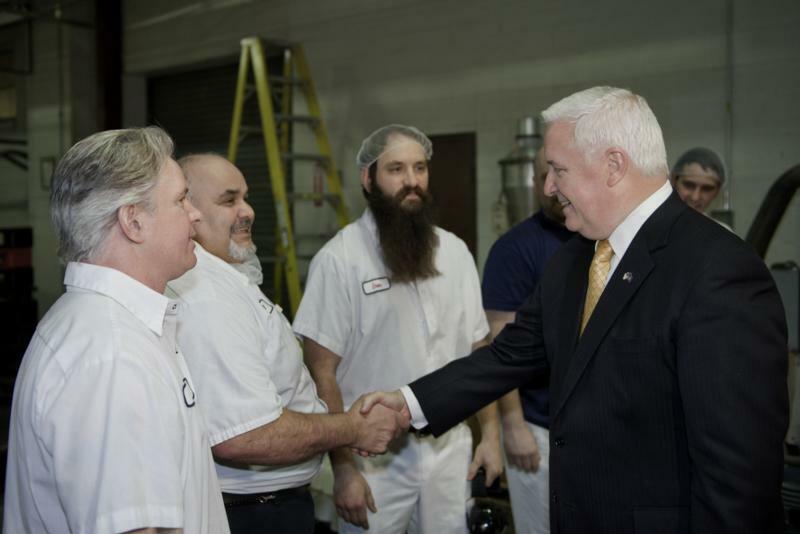 Governor Tom Corbett is greeted by employees of the Galliker Dairy Company in Johnstown, PA. He was at the Dairy announcing his commitment to helping Pennsylvania's longstanding family businesses grow. 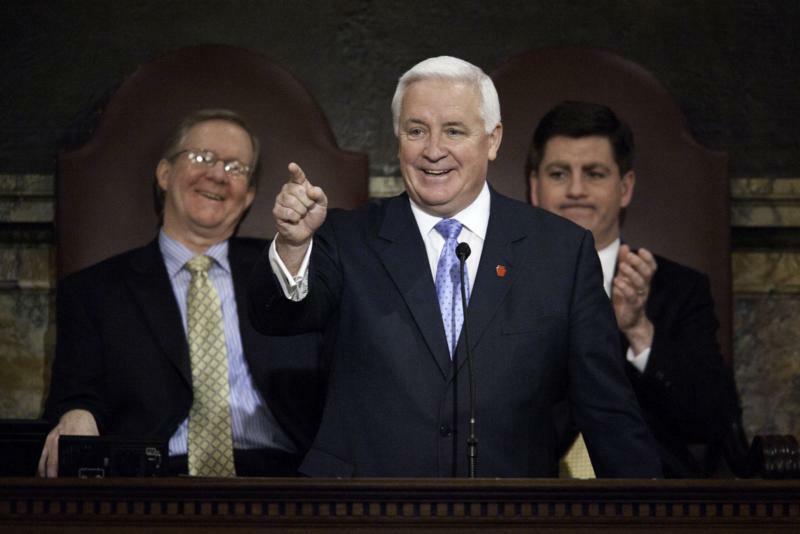 People in the photo are (L to R): Ed Steele, John Stevens, Todd McGregor and Governor Tom Corbett. Gov. 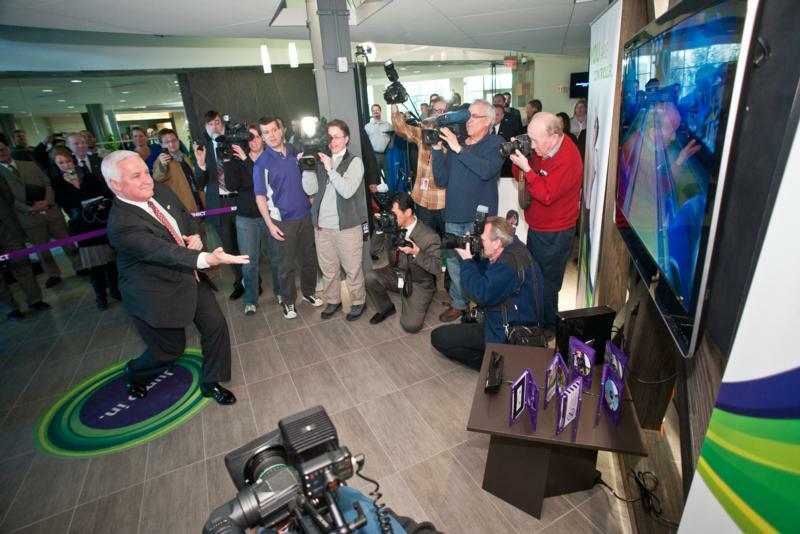 Tom Corbett toured the new Microsoft Technology Center and helped Microsoft CEO Steve Ballmer to officially cut the ribbon on the facility. The new center, one of only 22 such centers in the world, will play a significant role in helping business owners in the region and statewide to succeed and create jobs. Governor Tom Corbett presents his 2011-12 budget to the state legislature - a budget that is balanced and does not raise taxes for the residents of Pennsylvania. - Today, Governor Tom Corbett presented his 2011-12 budget to the state legislature - a budget that is balanced and does not raise taxes for the residents of Pennsylvania. 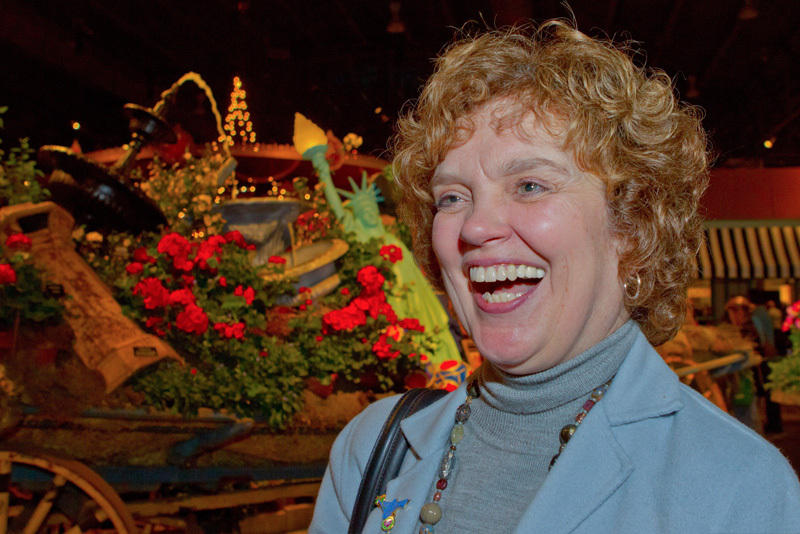 First Lady, Mrs. Corbett, smiles while visiting the Philadelphia Flower show today at the Philadelphia Convention Center. The southernmost six-mile stretch of the Pennsylvania Turnpike's Northeastern Extension (Interstate 476) in Montgomery County is scheduled to get a major overhaul. Bloomsburg University professor, Karl Kapp, discusses his research using video gaming to facilitate music education. Clarion University professor, Douglas Smith, provides an overview of his research in the treatment of urinary tract infections. Lock Haven University professor, Amy Way, describes her research designed to improve fertilization rates in dairy cattle. Lock Haven University professor, Marian Tzolov, explains his research advancing the technology of polymer solar cells. Millersville University professor, James Cosentino, describes his research incorporating nanotechnology in analyzing compounds in blood. Millersville University professor, Len Litowitz, discusses his research in robotics allowing remote control of an ATV (all-terrain vehicle). Millersville University professor, John Ward, gives an overview of his research developing quality assessments aimed at identifying effective classroom teachers.